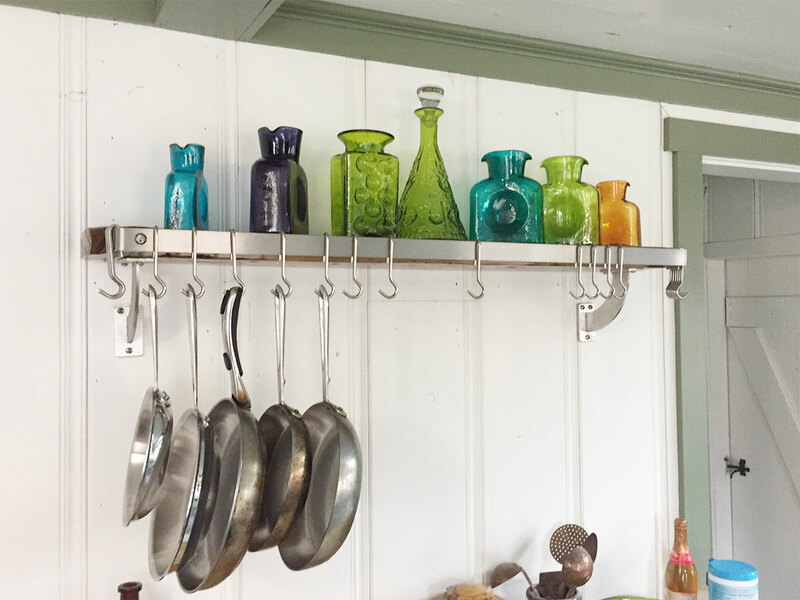 Keith from Lynchburg, Virginia sent in pictures of how he used the Ekena Millwork stainless steel Bradford bracket in his kitchen. To begin with, the architectural depot customer attached the brackets to his wall and wood shelf. 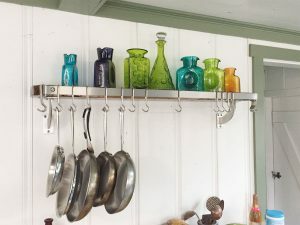 Secondly, he added a metal article to the wood shelf to attach hangers for the kitchen pots and pans. The combination of wood shelf and the steel brackets created a modern, rustic feel. After the rest of his kitchen project was complete, Keith sent in these charming project pictures. Constructed from stainless steel, the Bradford bracket is perfect for modern homes as most appliances are stainless steel. Not only are these brackets elegant, but also they are incredibly durable! The long lasting steel insures durability for any home improvement project. 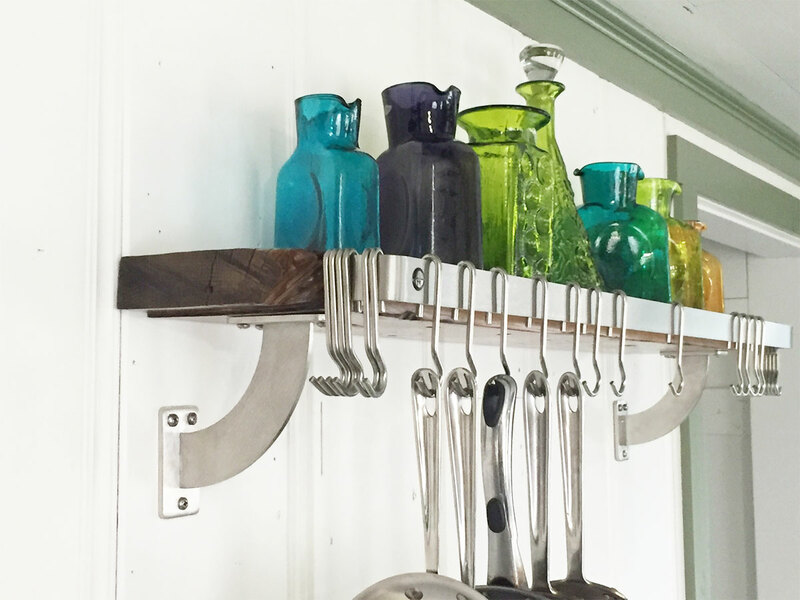 Additionally, Bradford stainless steel brackets have ¼” material thickness that is perfect for countertop and shelf applications, as seen in Keith’s project picture. Finally, installing these stainless brackets is such a simple task that does not require a long time! You can buy this bracket or others like it via the link below!